Some of my birds were born (hatched) here. The birds who were born here are the children of two of my rescued parakeets. Their mother was a one-eyed parakeet who I saw at a "scratch and dent sale" at a pet shop (seriously!). 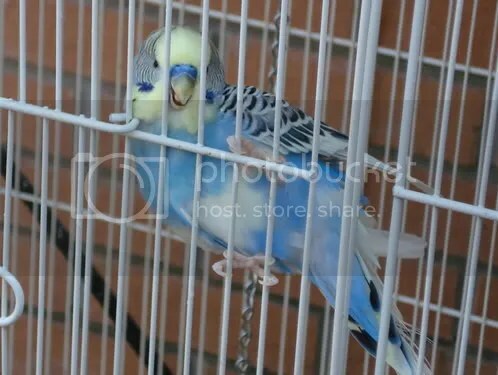 The father was an old man parakeet whose owner went off to war. They came from two different places but fell in love and had three clutches of babies. They have since died, but the surviving babies still live here. Beady is the sweetest of all my baby parakeets. He’s grown now, but he’ll always be a baby to me. His mate, Miss Piggy, has one leg. I saw her in a cage all by herself at PetSmart. I convinced the manager to give her to me. Yes, I am a softy. 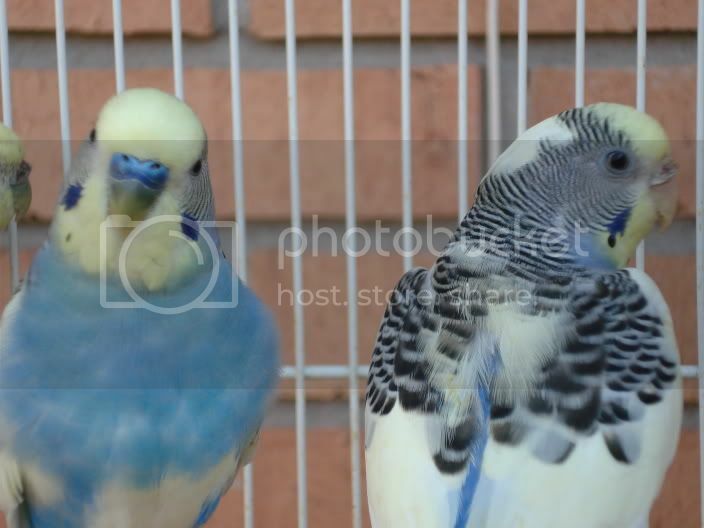 Beady and Miss Piggy are very deeply in parakeet love. Beady takes care of Miss Piggy since she can’t get around as well as the other birds in the cage. He brings her food and feeds her mouth to mouth as birds do. They make a very cute couple because they look identical.